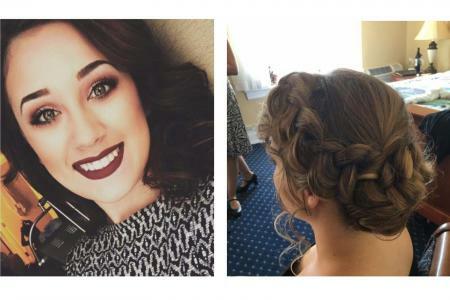 If one of your bridesmaids or close friends isn’t pulling double-duty to apply and style your hair and makeup, you may be looking for a stylist for your big day. While most of our hair stylists don’t travel, your whole group can make appointments to get your hair done in the salon. Or, skip the salon and contact “I Do” for a talented stylist to come right to your venue with all the tools and techniques to make your big day picture perfect. With limited makeup choices in the county, the team at “I Do” is the full package, providing you with the looks and products you know and love to create the perfect bold, understated, and classic looks you're looking for on your wedding day. Treat yourself to a little pampering for you and the girls and take the stress out of traveling, appointments, and keeping to your schedule, by letting them bring their services to you. Hair Styling and Make Up Artist for individuals and wedding parties and photo shoots. On location hair and makeup for weddings and special occasions.